The rental rules in the UK are relatively clear, but do make sure you don’t miss out any key points. Who can rent out a property? Anyone who owns a property in the UK can rent it out. There are no restrictions on purchasing a home, so that essentially means anyone can be a landlord. Even if you hold citizenship of another country, you can rent out here – you might just not be able to live here full-time. It’s important to note, however, that you will need certain permissions or paperwork to let particular types of property. If you’re renting a home considered as a large ‘house in multiple occupation’ (HMO), then you’ll need a licence from the council. The rules on this have just changed. It used to be that you’d have a large HMO if it was three storeys with five sharers, but now the storey requirement is abolished. How do you manage a rental? A common question for would-be landlords is how they’re going to manage the property – especially if they’re based overseas. You have two main options: doing it yourself or using a letting agent. Doing it yourself is, in theory, the cheapest option and gives you the greatest control. If you live nearby, or you have relatives who can help out nearby, it can be a good choice. You’ll need to respond personally to any tenant issues and deal with the drawing up of contracts and initial search for renters yourself, but many prefer having this level of control. Using a letting agent is a more expensive option. What you’ll pay depends on the level of service you want. If you want full property management, you can expect to pay around 10-15% of the monthly rent. For finding a tenant and collecting rent, it’d be 8-12% and, just for finding a tenant, it’d be 6-8%. There might be extra fees for either you or your tenant(s) for inventories, references, renewals and check-ins. If you’re thinking of buying a property to rent, get the most for your money with the tips from our free guide, How to Negotiate Abroad. The advantage of this, however, is that you can trust your property to a professional. If you’re living overseas, you won’t need to worry about how you’re going to hand over the keys, or scrambling to find a plumber when something breaks on a Sunday and you’re thousands of miles away. You’ll essentially be able to sit back and let others get on with the work! Holiday homes have different rental rules in the UK to long-term lets. 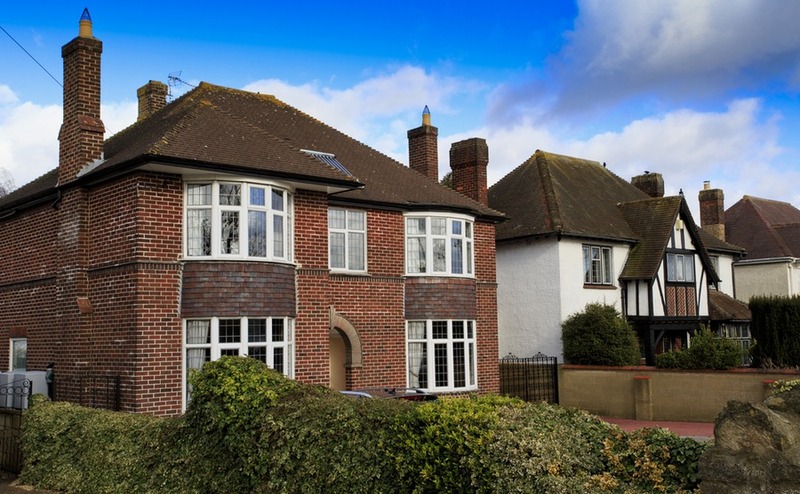 What are the main types of long-term tenancy? Most long-term tenancies are known as either period or fixed-term. The former means they ‘roll on’ based on the rent payment period. For example, if your tenant pays every month, the tenancy renews automatically every month at the same time. Fixed-term tenancies are for a set time, like six months. Nearly all private tenancies start off as fixed-term tenancies, even if just for three months. Some then switch to period ‘rolling’ contracts afterwards. Others require the re-signing of another fixed-term contract. Assured shorthold tenancy (England & Wales)/fixed-term tenancy (N. Ireland): this is a fixed-term tenancy with the right for you to take it back once the term ends. Assured tenancy (England & Wales)/protected tenancy (N. Ireland): you can’t ask your tenant to leave unless they break the contract. In Scotland, all tenancies are a private residential tenancy, which means they must be open-ended. 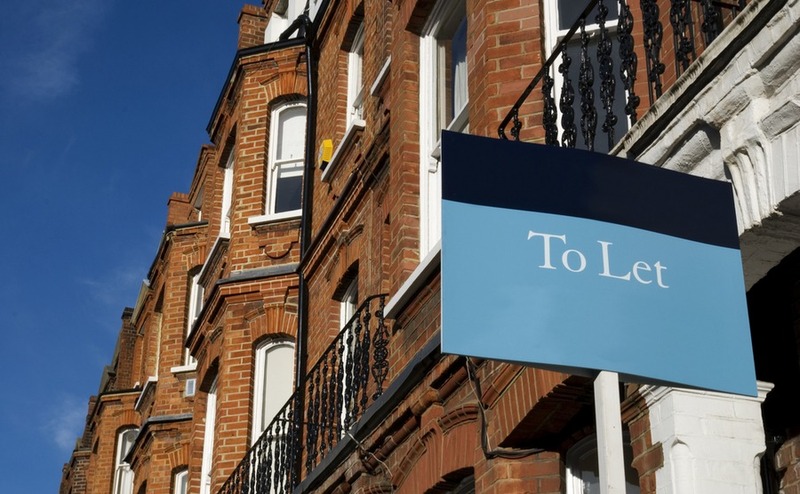 What are the rental rules on how much you can charge for long-term tenancies? Unlike in some countries, you can set any price you want as the rent – above or below the average. Nonetheless, rental rules in the UK do prohibit excessively frequent rent raises. In periodic tenancies, you normally can’t increase the rent more than once a year. In fixed-term ones, you can only increase once that period comes to an end. You can charge a deposit for long-term tenancies to hold against any potential damages. This is usually one or two months’ rent. The law doesn’t forbid you from charging an admin fee for doing so, although it’s rare. What are the main types of holiday tenancies? A normal holiday letting (officially a FHL, furnished holiday let) will run on a night-by-night basis. You’re free to decide on the minimum and maximum stay yourself. However, for your property to qualify, there are a number of rental rules in the UK to follow. You can’t let the property for individual stays of more than 31 nights that together total 155 days in a year. For example, you couldn’t rent for five 32-night stays in 12 months, as that’d take you over 155 days of stays over 31 nights. Secondly, you must offer it up for rent for at least 210 days a year. Days you or your family (if non-paying) use it don’t count. Of those 210 days, you must have successfully let it for at least 105 days, not counting stays of over 31 days. How can you protect your income? As a landlord, your income is exposed to a number of risks – but the solutions to counter this are simple. Firstly, if you’re using a letting agent, you may be concerned about them being a victim of fraud before the money reaches you. To protect yourself against losing your money in these kinds of situations, make sure they’re a member of a Client Money Protection Scheme. If you’re in England, it’s the law that the agent tells you whether they’re a member or not. The Government is pushing to make membership a legal requirement, but it’s not quite there yet. Secondly, if your tenant has a low income or you’re otherwise concerned about their ability to pay (for example, if they’re self-employed), you can ask them for a guarantor. Thirdly, if you live abroad, you’ll need to transfer pounds into euros, dollars or other currencies. This has an inherent risk. You’ll get a fixed amount in pounds every month from your tenants, but what you receive in your local currency will change every month. This makes it impossible to budget – especially in such volatile times as the run-up to Brexit. Imagine you made £1,200 a month and transferred it into US dollars. Over the last twelve months, the amount you’d have received in dollars would have varied by a massive $200. That why we always recommend using a specialist currency company, rather than a bank. Our partner, Smart Currency Exchange, is the UK’s only property specialist business – and our readers have given their service over 1,000 5* reviews on Trustpilot. Their Personal Traders can use a forward contract to lock in the same exchange rate for twelve months – so you don’t have to constantly watch the markets every 30 days. Do the rental rules in the UK define whom you can rent to? As a landlord, you do have restrictions on whom you can rent to – and it’s your responsibility to check this. Firstly, you must verify that they have the right to reside in the UK, including people you’re confident are British citizens. This goes for all tenants over 18, even if they’re not named on the tenancy agreement. To do this, ask for original documents proving that they can live in the UK and make and keep copies of these documents. Record the date of the check on the copies. If they don’t have the right documents, apply to the Landlord’s Checking Service to see if the Home Office has their document. Are there rules around the lease agreements? The UK doesn’t have a required format for leases. There are a number of things you must include, however. These are all your contact details, those of your tenant, the rent payable and when it’s due, the deposit amount and how it’ll be protected, the address of the property and any special terms. You should also set out who is responsible for what (eg maintenance, bills…). The Government provides a model tenancy agreement, should you wish to use it. What paperwork do you need to apply for? There are a few things you need to get sorted before the move in. You’ll need to engage a few professionals to validate particular characteristics of your property. Mortgage lender: If you have a lender and you’re starting to rent out a home you bought to live in yourself, you’ll need to send them a ‘consent to rent’ application. Domestic Energy Assessor: They’ll need to come and survey your property’s energy efficiency. They’ll give you an EPC (energy performance certificate), running from A (best) to G (worst). You can’t rent out a property with a rating below E.
Gas Safe Engineer: If you have any gas appliances, a Gas Safe Engineer needs to visit annually. They’ll provide a gas safety certificate, which you should then pass onto your tenants. Council or Northern Irish Housing Executive: If needed, you’ll want to get your HMO licence as early as possible. Make sure you get all the paperwork required by the rental rules in the UK are done before anyone moves in. What are the rental rules in the UK when your tenant moves in? There are a few bits to get through in your first week with new tenants. Firstly, you’ll need to carry out an inspection report. This will help set a benchmark for the property, in case of any disputes over maintenance. As previously mentioned, the rental rules in the UK differ between the different nations. In Scotland, you’ll also have to do a Periodic Electrical Inspection report at the beginning and every five years since. Ensure that your budget is protect from the vagaries of the currency markets – that even the banks can’t predict – by downloading your free Property Buyer’s Guide to Currency. In England, you must give tenants the How to Rent guide. If you don’t do this, you’ll find it hard to evict them – it’s a legal condition. In Northern Ireland, you have to give your tenant a rent book. It covers the details of the tenancy and gives them space to record payments. What are my responsibilities during the tenancy? If major repairs are being carried out, your tenants may be able to claim a rent abatement. How does a tenancy end? Section 8: This gives your tenants double the rental payment period (two weeks or two months) to leave, whether or not they’re in a fixed-term contract. It can only be done if they’ve broken the terms of the tenancy and you’ve filled in Form 3. Section 21: Fill in Form 6a to start this process, which asks a tenant to leave because their fixed-term contract has ended. Eviction order: You can only end a tenancy if the contract is breached. To do so, apply to the House and Property Chamber of the First Tier Tribunal for an eviction order. Notice to Quit: Northern Ireland has a lot more rent control than the rest of the UK. You can’t end a tenancy early if they haven’t done anything wrongly and, if you do end it, you must give between 28 days’ to 12 weeks’ notice, depending on how long they’ve been living in your home. Write them a Notice to Quit including an explanation of the breached terms. 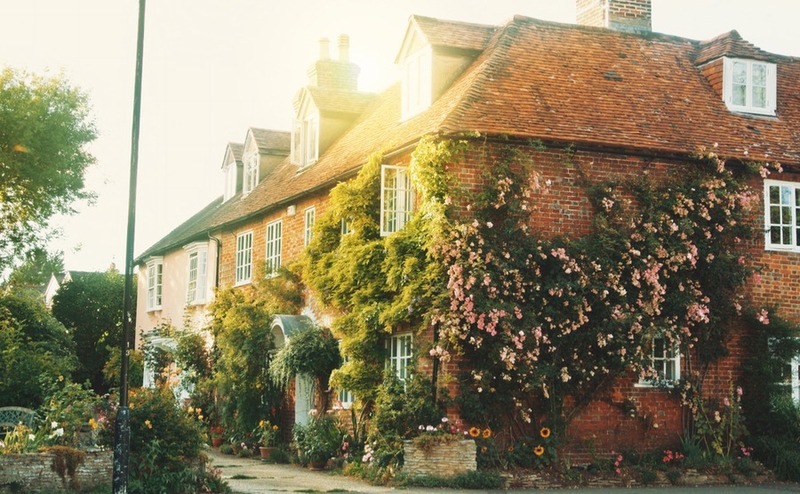 If you’re buying a property in the UK to rent out, make sure the purchase process is a smooth as possible – so you can start renting out as early as possible. 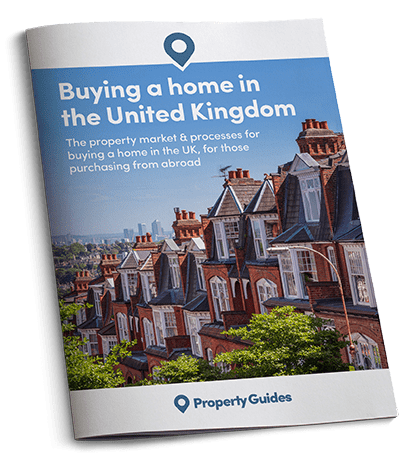 Download your free guide to find out everything you need to know about buying in the UK.